Great hands, minds and time came together to create this FAB new website. 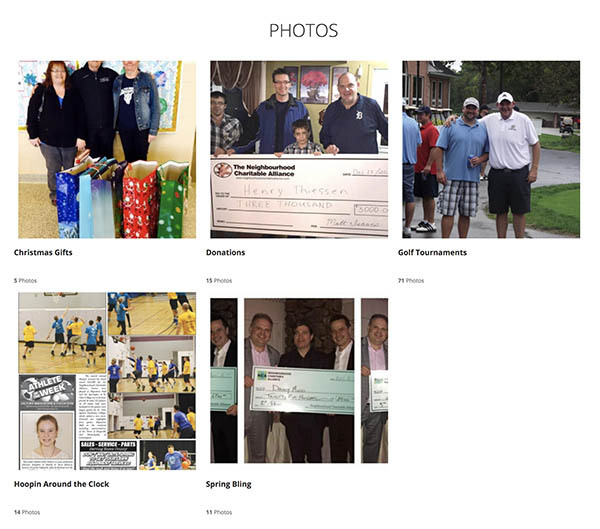 Below are snap shots of some of the pages filled with lots of fun pictures and features. 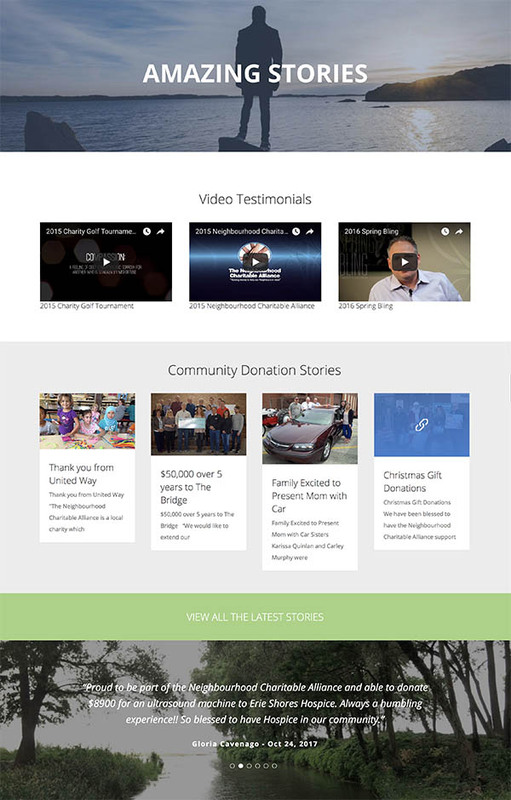 It’s mobile and social savvy, and now includes online secure donations, photo album, event calendar, donation stories, videos,’Know a Friend in Need’ Applications, thank you scrolling quotes, google maps etc. 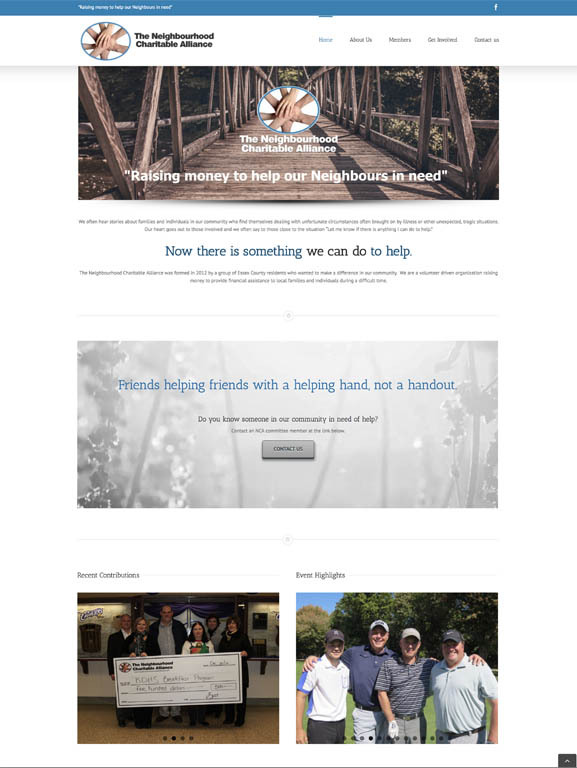 It’s truly AMAZING what the Neighbourhood Charity Alliance has accomplished since 2012 when Matt Isaacs first started up his vision of Neighbours helping Neighbours. NCA now has 11 volunteer board members, raised over $270,000, and has assisted over 125 families in our Windsor-Essex community. We hope you LOVE our website, and it continues to help SO many more! Looks amazing!! Thanks Kristine, Trevor and Bruce for getting it ready for this weekend!! 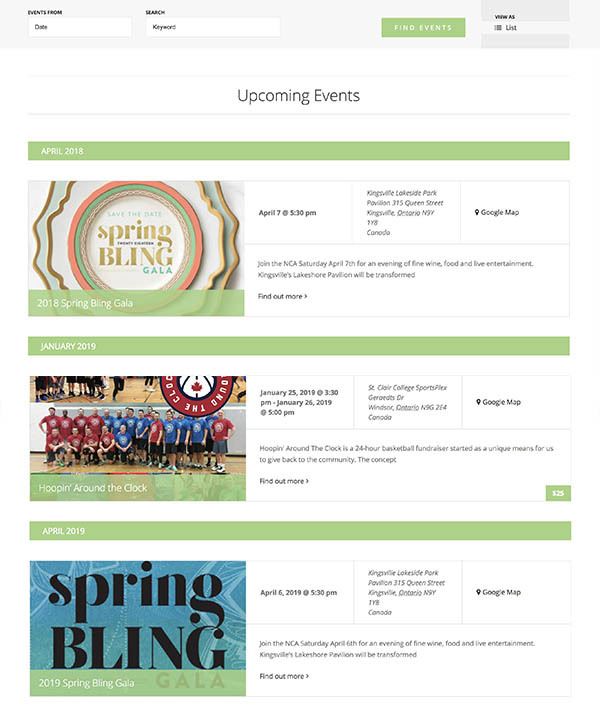 I am amazed at how much detail and care goes into creating a web site. Great job everyone!! 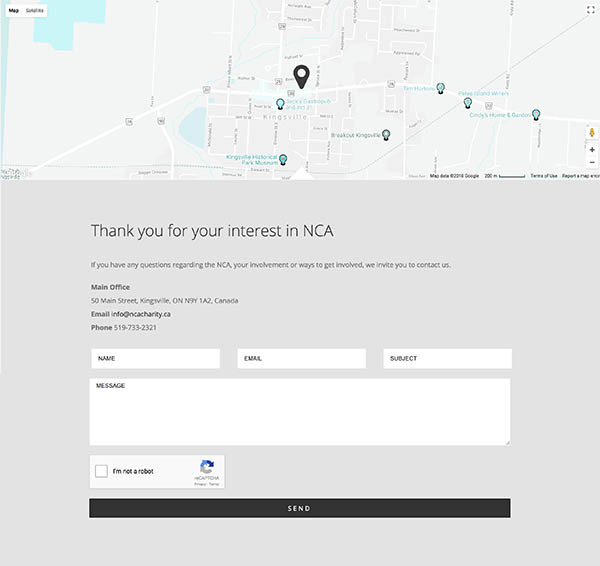 Myself and Ian, on behalf of the NCA commend the job you did and appreciate all the little extras!